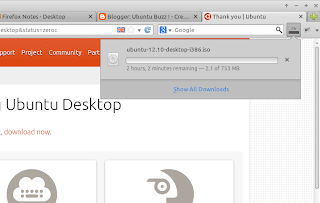 Mozilla Firefox 20 Has Been Released, Try It on Ubuntu! 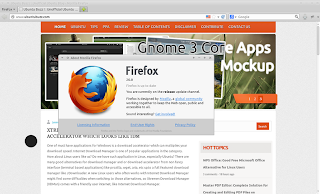 The Mozilla Firefox's team has released Mozilla Firefox 20 which brings three new features. Mozilla Firefox is a popular web browser especially among Ubuntu users because it is made as a default web browser for Ubuntu. The release is not just for desktop version, but also for Android version - of course - with different changes and improvements. The most notably change of this release is an improved download manager. The new download manager has icon which sticks on the toolbar. The icon shows as time remaining of running downloads, when you click on it, download detail appears. The actual download manager has been improved too. It is be able to show detailed information about what you've downloaded, when, and where. It can also sort the download list, filter, and clear download history. 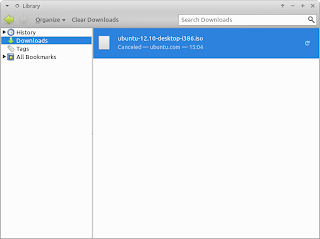 The new download manager uses same Library window along with history, bookmark, etc. Another new feature of this release is ability to run private browsing and normal browsing simultaneously, just like Google Chrome does for a while. 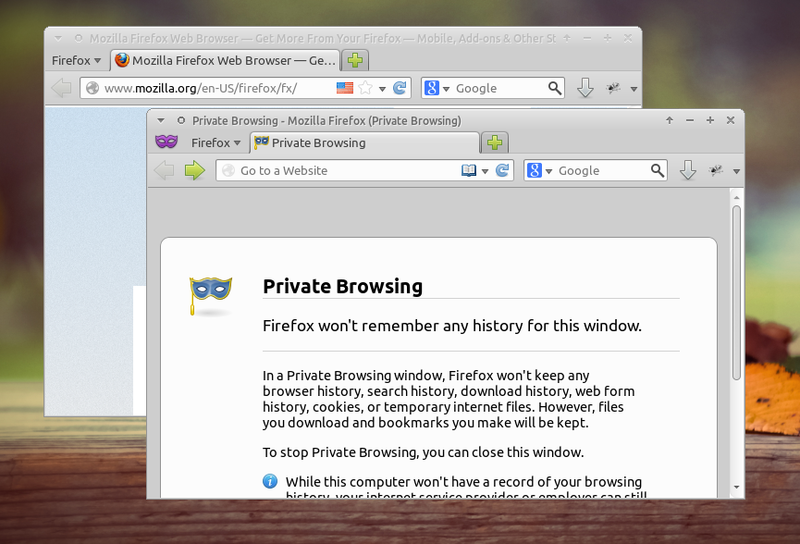 In the previous version of Firefox, we have to close normal browser to switch to private browsing, and vice versa. Now, you can do that at a time. 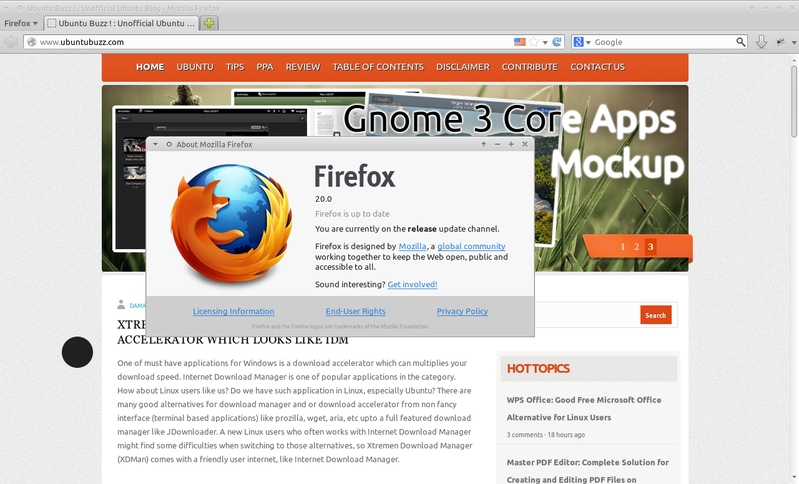 Mozilla Firefox 20 also brings a performance improvements which can close hanging plugins, without the browser hanging. So, there is no need to close the entire application if one of your plugins causes a problem. FIXED: Security fixes can be found here. 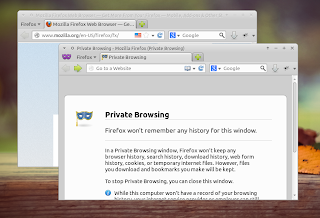 NEW: Per-window Private Browsing. Learn more. NEW: New download experience. Learn more. NEW: Ability to close hanging plugins, without the browser hanging. CHANGED: Continued performance improvements around common browser tasks (page loads, downloads, shutdown, etc.). DEVELOPER: Continued implementation of draft ECMAScript 6 –clear() and Math.imul. HTML5: getUserMedia implemented for web access to the user’s camera and microphone (with user permission). HTML5: canvas now supports blend modes. HTML5: Various audio and video improvements. 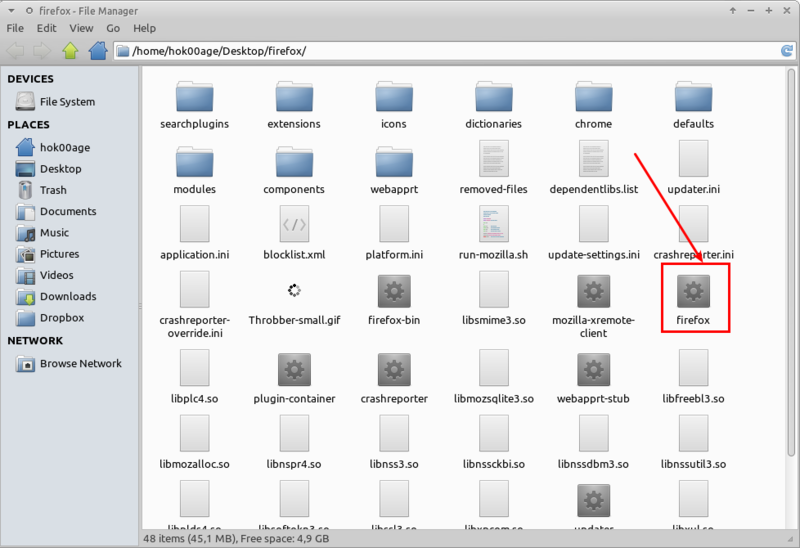 FIXED: Details button on Crash Reporter (793972). 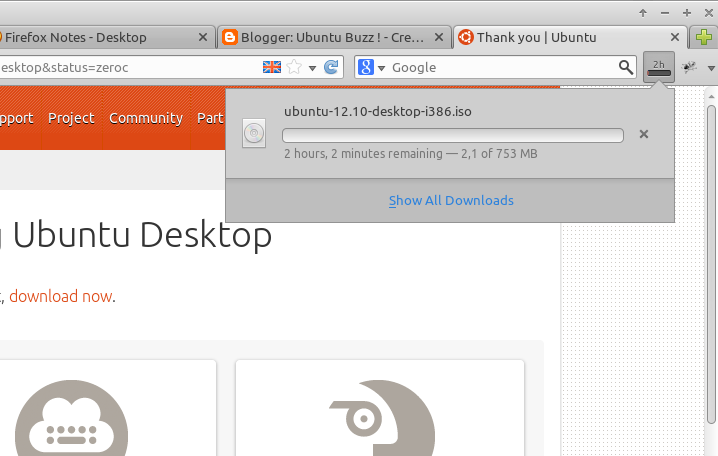 Mozilla Firefox 20 has not available on Ubuntu repository yet, but it should be there soon. 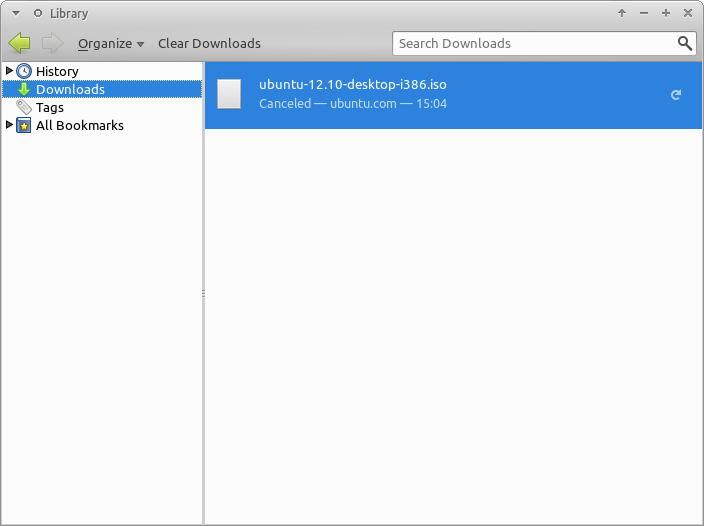 If you want to give it a try before the official Ubuntu release, you can download the binary here. 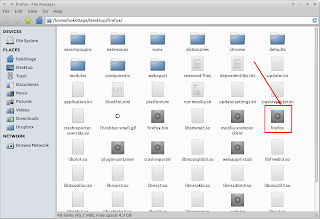 Once downloaded, extract the archive and execute the "firefox" binary (double click on it).